Octoburst! 2014, you should not miss it this year! Octoburst! is back! Are you as excited as The DinoFamily? 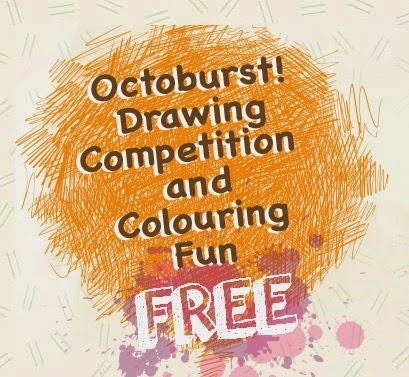 In celebration of Children’s Day and childhood, Esplanade – Theatres on the Bay presents the 11th edition of Octoburst!. 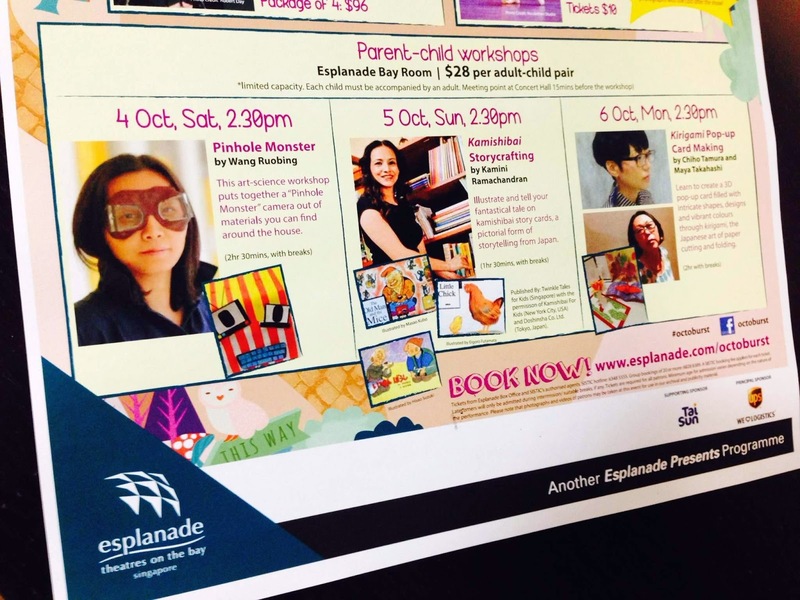 The annual festival is Esplanade’s festival of arts and culture for children aged two to 12. This year’s edition takes place from 3 to 6 October 2014. There are so many events, activities & perforamnces going on this Octoburst! Check out the full list of exciting programmes here. With so many things to see & participate in short short time, we share with you some of the events that we feel that you should not miss out during this year's Octoburst!. Recommended Age : Ages 6 and up. Admission for children aged 4 and up. Something Very Far Away was developed with the support of the National Theatre Studio (UK). Synopsis : Kepler is an ordinary man who loves two things beyond all others: the cosmos and his wife, Tomasina. After a sudden and tragic loss, he looks to the stars for answers and journeys deep into space to keep the thing most precious to him alive. Something Very Far Away is a moving tale that uses puppetry, music, sound and live animation to create a unique and beautiful performance that will enchant children and adults alike. *Patrons who present their Dance Appreciation Series ticket stub at SISTIC counters will be eligible for 15% off SDT’s full length production of Don Quixote in Dec 2014. Limited to two discounted tickets per stub. Recommended Age :Ages 2 and up. Admission for children aged 2 and up. 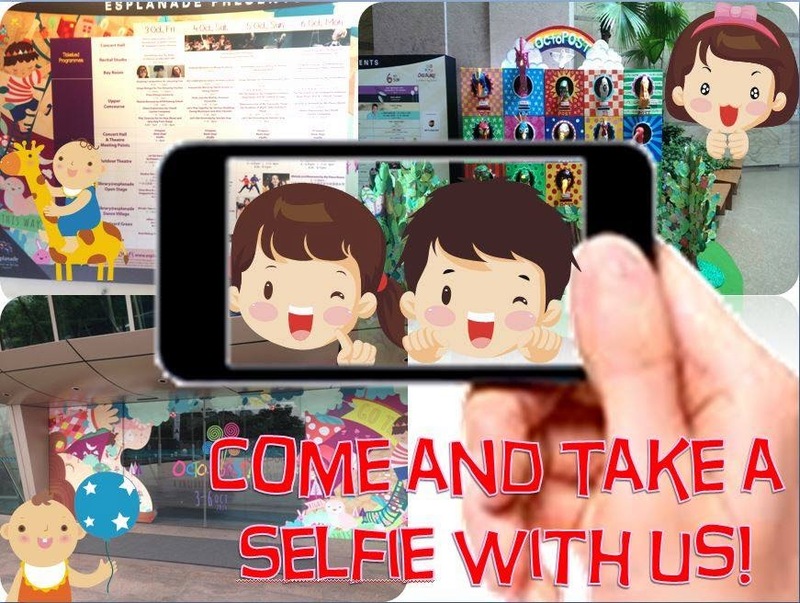 Children who come dressed in their favourite character costumes will get a chance to take photographs with the cast after the show! 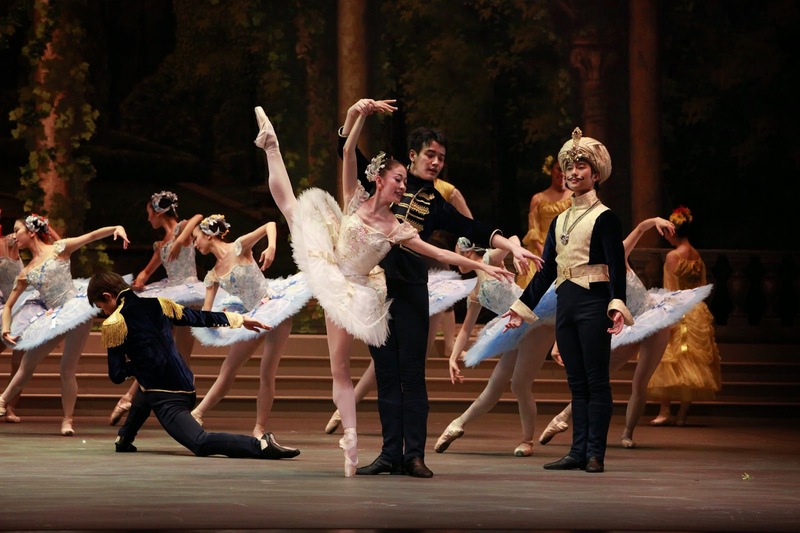 Synopsis : In this special edition of Dance Appreciation Series, Singapore Dance Theatre brings you around the world by bringing to stage the different sides of classical ballet from Germany, France, Spain, Poland and India. Told through narration and dance excerpts, this hour-long performance specially created for our young audiences will feature some of the world’s most enchanting classical ballets like Sleeping Beauty, Swan Lake, Don Quixote, Nutcracker and La Bayadère! Meeting point : Concert Hall entrance, 15mins before the start of the workshop. * These workshops have limited capacity. Each child must be accompanied by at an adult during the workshop. No admittance for babies and toddlers. About the Workshop : Get ready to find out what you and the kids can make with items from around the house, cardboard pieces and a monster-sized imagination. Tap into the creative minds of your little Da Vincis and Einsteins in this workshop that blends science and art by creating a “Pinhole Monster”, a pinhole camera that projects the view from the outside into a black box. About the Workshop : Gather around and listen closely as master storyteller Kamini Ramachandran weaves tales of wonder and magic through the Japanese art of kamishibai, a visual form of storytelling. After the storytelling session, take on the role of a storyteller for the day. Children and their adults will get a chance to illustrate their own story by making kamishibai story cards and also spin their own fantastical tale. About the Artist : Kamini is the co-founder of MoonShadow Stories, a storytelling partnership focused on reviving the oral tradition in Singapore. She is also a founding member of the Storytelling Association (Singapore) and Artistic Director for the annual Singapore International Storytelling Festival. Recently, Kamini represented Singapore at the Alden Biesen International Storytelling Festival 2014. Kamini is also responsible for organising World Storytelling Day in Singapore since 2005. About the Workshop : Learn kirigami, the Japanese art of paper cutting and folding by magically transforming a plain piece of paper into a 3D pop-up card filled with intricate shapes, unique designs and vibrant colours. After creating a one-of-a-kind masterpiece, write a message and send the card to a loved one for a surprise that leaps out from your handmade card. About the Artists : Chiho Tamura is a Japanese artist living in Singapore. Her artworks illustrate the unity and cohesion of time and space, nature and man. She teaches art to all ages with hopes that it will inspire and enhance their confidence, and most importantly allow them to enjoy the beauty of art. Maya Takahashi is a Japanese artist who has been teaching art education to children in Singapore for 18 years. She teaches with passion to inspire, explore and understand each child’s sense of creativity and unique personality. She hopes to encourage confidence in children through art, cultivating them into individuals who dare to express themselves freely, and live their lives in their own bright and unique ways. Who needs a plane ticket to travel the world when all you need is a book? Mommies and Daddies, spend some quiet time with your little readers and set off on a journey through the magic of words. Take a break from the hustle and bustle of all the activities and come on down to Book Stop! 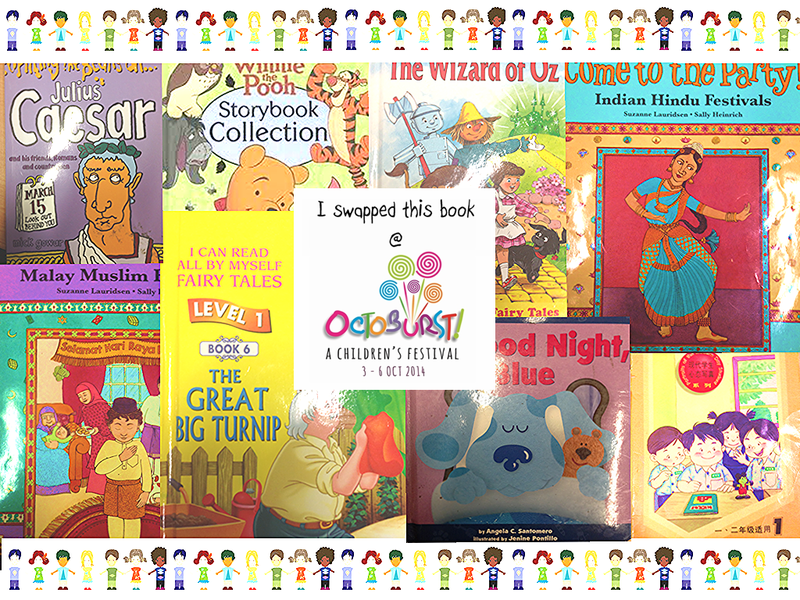 You can even swap a pre-loved children’s book for another to add to your library at home. * All selfies will be mailed back to their owners on our Octoburst! postcards after the festival. About the Event : Pre-registration is required for both Colouring Fun and Drawing Competition and registration can be done online via www.esplanade.com/octoburst. It’s a mystery theme this year so come down to Esplanade and we’ll share the secret with you! Check out more details about the drawing competition over here. We intended to watch Something Very Far Away on 5th October 2014 @ 12 noon but could not make it, therefore we decided to bless one reader with our tickets! We have taken to watching puppet shows recently as a family, and found this to be a most fascinating genre for telling meaningful and engaging stories to our young children. Hence I would love to win the tickets. Thanks! I haven't got a chance to bring my girl to watch any children show this year. This puppet show is so appealing. I am sure she will enjoy it very much. It will be a great belated birthday present for her as I have promise to bring her for a theatre show since her birthday in Aug. Hence, I am looking forward to win the tickets for her. Thanks! my boy will love the show as this will be his first puppet show. My kids enjoy children's plays very much. We recently discovered puppet shows and how delightful they can be. My daughter loves to watch play. Opps! Realised I forgot to provide my name and email address. Hope it is not too late.